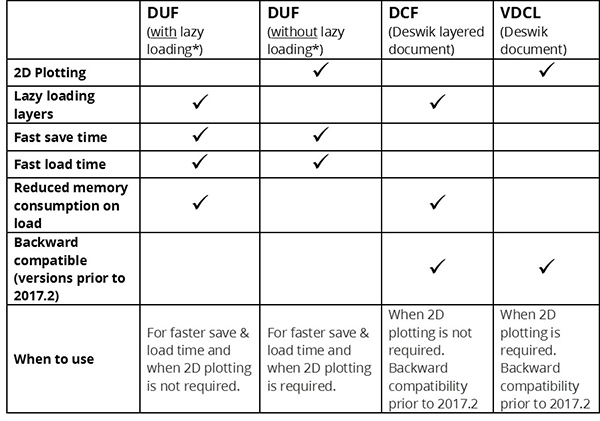 The Deswik Unified File format (.DUF) is a new file format for faster loading and saving of CAD files, which significantly improves document save and load time compared with the VDCL and DCF formats. 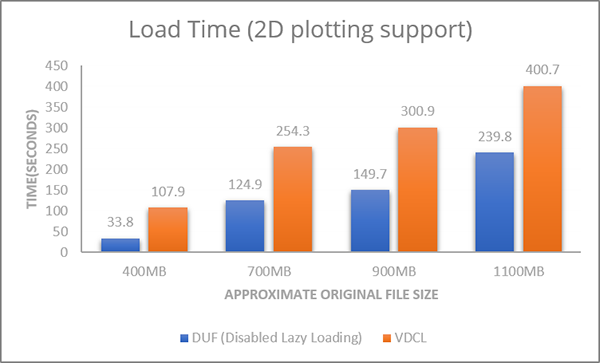 The DUF file format without lazy loading* loads all layers each time the document is opened, and maintains the 2D drawing order for layouts. It works similarly to the VDCL format however much faster. 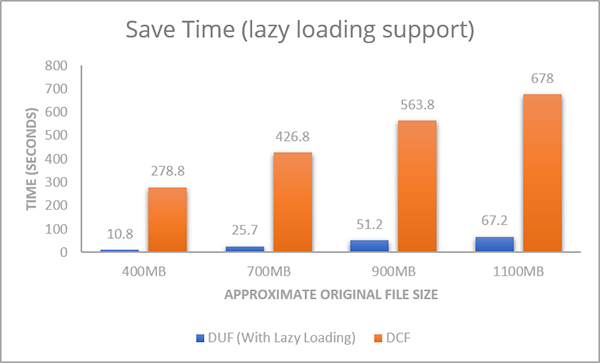 The DUF file format with lazy loading* will only load layers that were visible when the document was saved, reducing the initial amount of memory consumed. It works similarly to the DCF format however much faster. 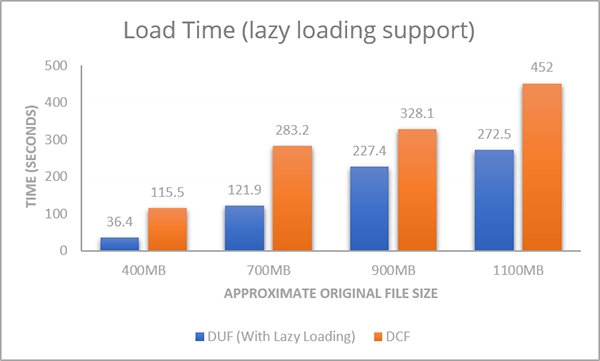 *Layer-lazy loading: using one of the lazy loading formats (DUF with lazy loading, or DCF) allows Deswik.CAD to selectively load only the layers that were visible last time the document was saved, which can significantly reduce the load time and initial memory consumption of documents. Each layer that is made visible by the user after the document is initially loaded will be loaded from the file when it is requested. The other, non-lazy loading formats will always load all layers and entities into memory each time the document is opened. 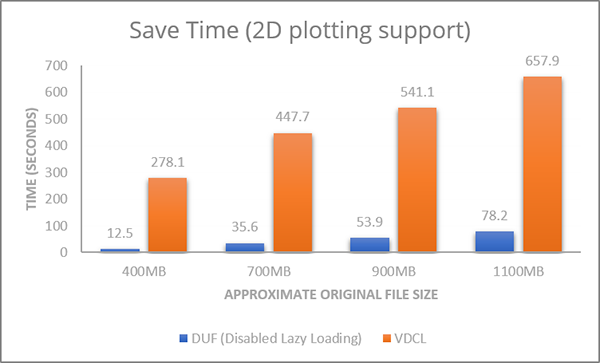 The DUF file format is not backward compatible between versions (i.e you cannot open a DUF file in 2017.1) – to open a DUF file in versions prior to 2017.2, simply save the file in DCF or VDCL format in 2017.2. To save your file in DUF format, go to File | Save As and select ‘DUF’ as the Save As option. All layers were visible during these tests. These results were obtained with a pre-release version of the application, and may change in the final release.